It is the time of the year again, the time when gamers who love the beautiful sport of football get to enjoy both the sport itself in a virtual gaming context. Yes, the release of the next Fifa game by EA Sports is just round the corner. Year after year since 2007, EA Sports have effectively tweaked and refined the gameplay and graphics of the Fifa video game franchise, raising the bar each time it releases a new title. However, this wasn’t the case for PC gamers. PC gamers were simply treated to the same old disgusting gameplay and boring graphics repackaged into the new boxes time and again. Next-gen was the cries of the gamers, the PC couldn’t support the engine was the supposed reason by the developers. The PC is less powerful than the consoles? I highly doubt so. I believe it is just a mere excuse for laziness or simply them not wanting to invest in the PC market. This time round, things are about to change. 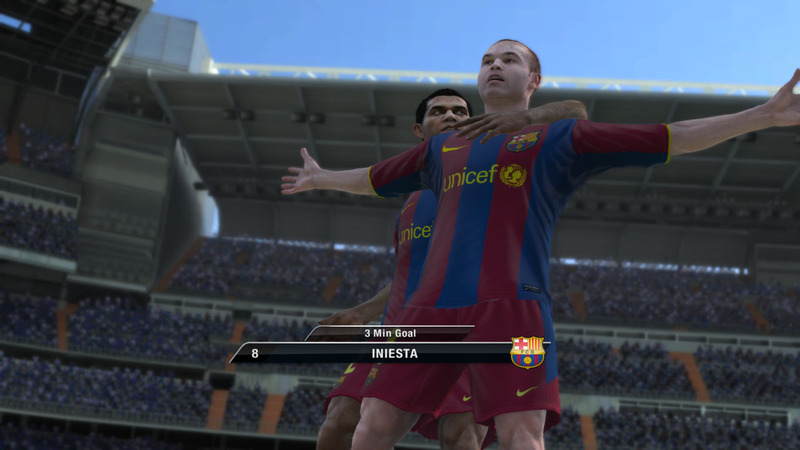 Fifa 11 PC version is about to hop onto the next-gen engine console gamers have enjoyed for the past 2 to 3 years. This is it. This article is solely based on the experience while playing through the Fifa 11 PC demo version. Fanboys might say that I am biased due to my previous reviews of the PC versions: Fifa 10 and Fifa 09 but what I wrote was all facts that fanboys don’t want to listen, comparisons within were made by playing both the console version and the nonsense pc version. Some people just don’t understand the difference between next-gen gameplay and nonsense gameplay. But I strongly believe this will change with Fifa 11. PC Fifa 11 is going to be next-gen. That’s right, took me long enough to say it. I played the demo and yes indeed it is next-gen. The smoothness and sleekness of passes, the miraculous curlers that bend like bananas; the beautiful emulation of football has just taken a huge leap. Rejoice fellow PC gamers, you can finally experience what it is like to play Fifa on the console. Be prepared to embrace the finest of tweaks and tunings that made next-gen Fifa so enjoyable, fun and exciting. The whole engine is just that fluid and sleek. Compare that with the nonsense you get with all your previous versions. Fanboys, stop saying that Fifa 10 has better gameplay than Fifa 09 simply because they are the same game. However, you can say that Fifa 11 has better gameplay than Fifa 10/09/08. You have to try it to experience for yourself the game engine. Why I wanted it so badly and why people who enjoyed the console version smirks and laughs at the PC version. The demo does just that, and it is here to curb and satisfy the 2-3 year wait for the next-gen engine. It is however, good to note that the Fifa 11 PC game engine is very similar to that of Fifa 10 console game engine (that means you have no be a goalkeeper, personality plus etc). Yep, they’ve done it again, a step back from the console version. Why on earth can’t they just port over the latest one? That, I have no answer to. But at least they decided to start working on the porting/reconstruction of the engine rather than focusing on the box art and where to find the cheapest place to print their covers. Try it, or watch the gameplay footage I uploaded below to understand. P.S Select 720p for HD quality. Console version is amazing yet again. Passing felt weird and hard to get used to and the auto locking of players to pass to seems broken. It might be just be but simply playing the same way I used to do with Fifa 10 or the World Cup 2010 seems to not work efficiently anymore. There are also some nice few features added such as the Be a Goalkeeper and stuff. I won’t be doing an article on the demo since you probably can find a thousand of them on google (not the case for PC. Search pc, you get console impressions, and those don’t apply to PC one single bit).